We are SUCH big fans of producers who talk with pride about where they source their ingredients. 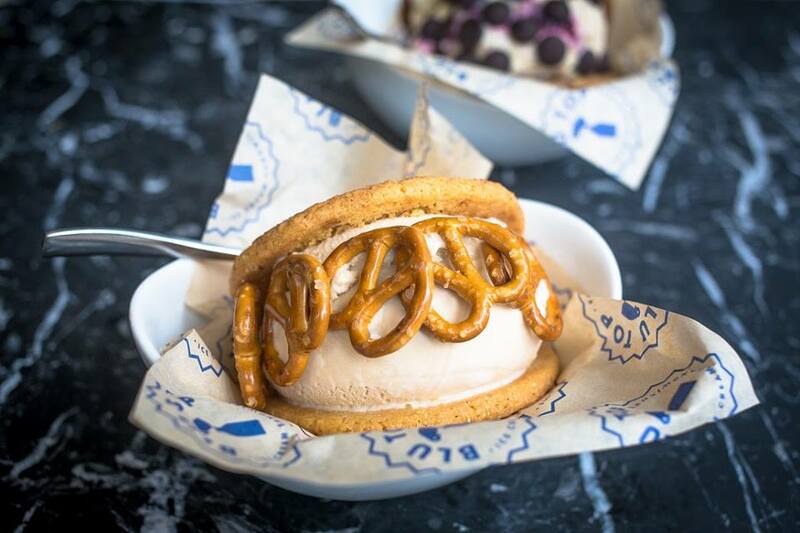 So, having followed Battersea-based Blu Top Ice Cream (who make the finest ice cream sandwiches in London fyi) for an age on Instagram, when we spotted the pic below – we had to get in touch. 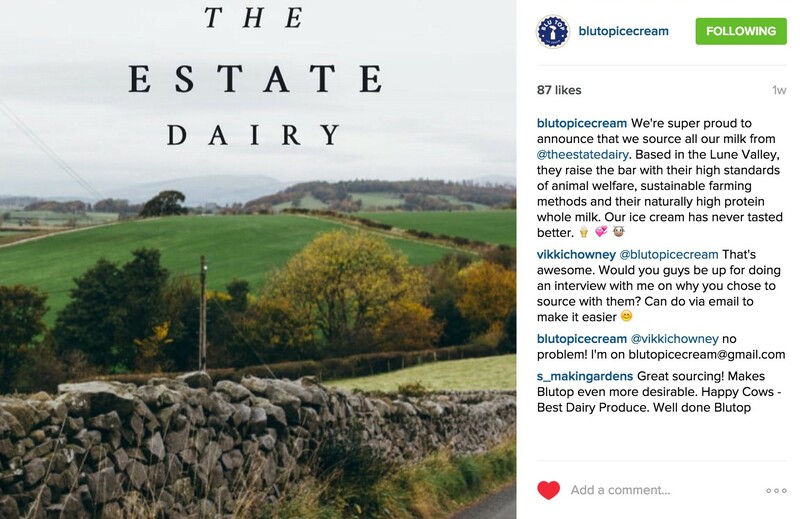 We asked about why they source all their milk from The Estate Dairy, what difference it makes to their ice cream, and most importantly, what their favourite flavour is. Richard Makin, founder and director, patiently answered our questions. 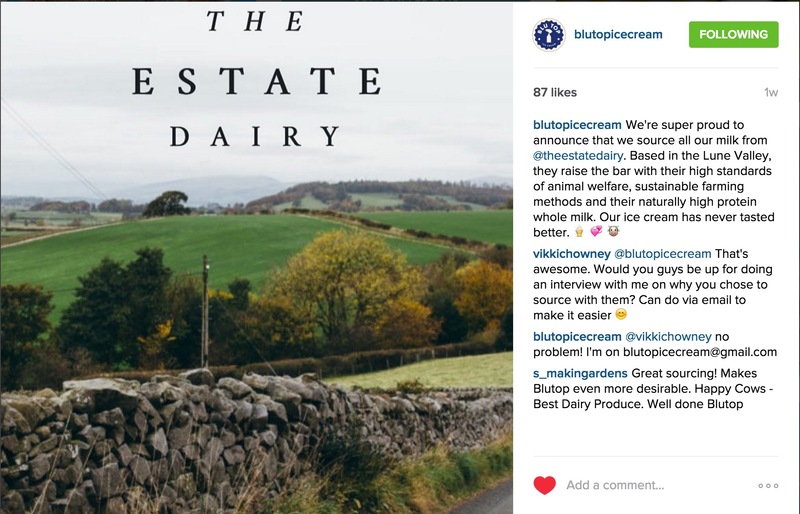 Why did you pick The Estate Dairy? Where/how did you find them? What difference does it make to your ice cream? How can people at home get the best dairy products? What should they be looking for/purchasing? 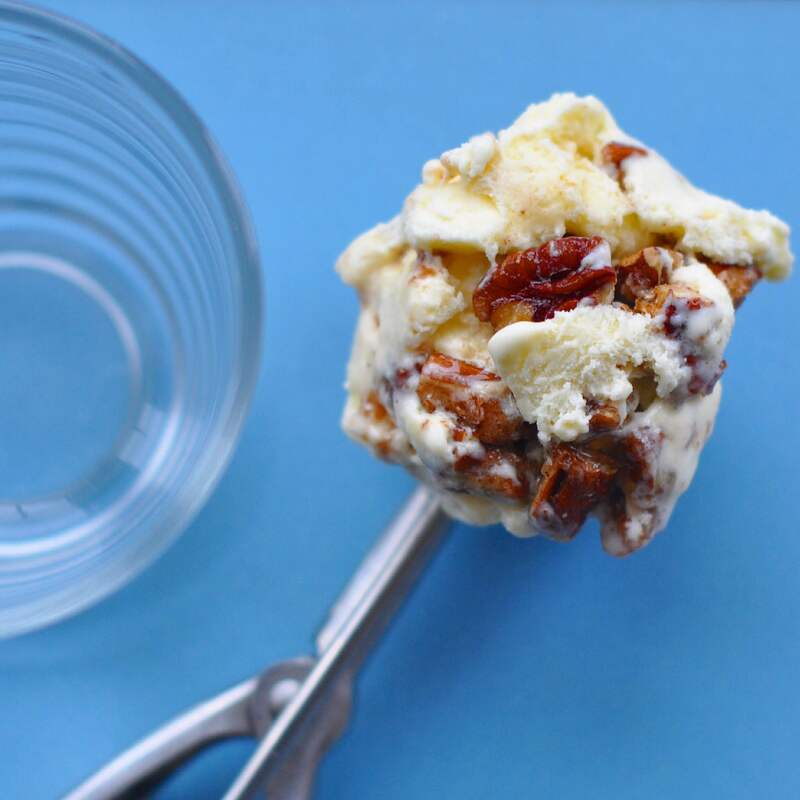 How have your ice cream masterclasses been going? Lots of interest I’d imagine? From April to October you can find Blu Top at Kerb’s West India Quay every Friday from 11-2, and at Druid St Market every Saturday from 9-3.